Thank you to all who attended the 2016 PFI Annual Conference in Asheville, NC! 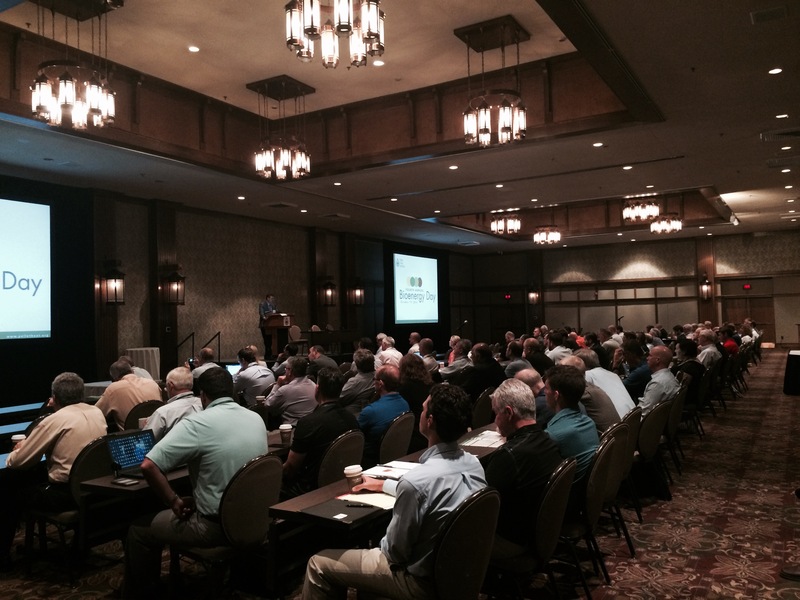 The conference was held at the Omni Grove Park Inn July 24-26 and attracted nearly 200 attendees from across the United States and Canada, as well as overseas. After a successful - if hot! 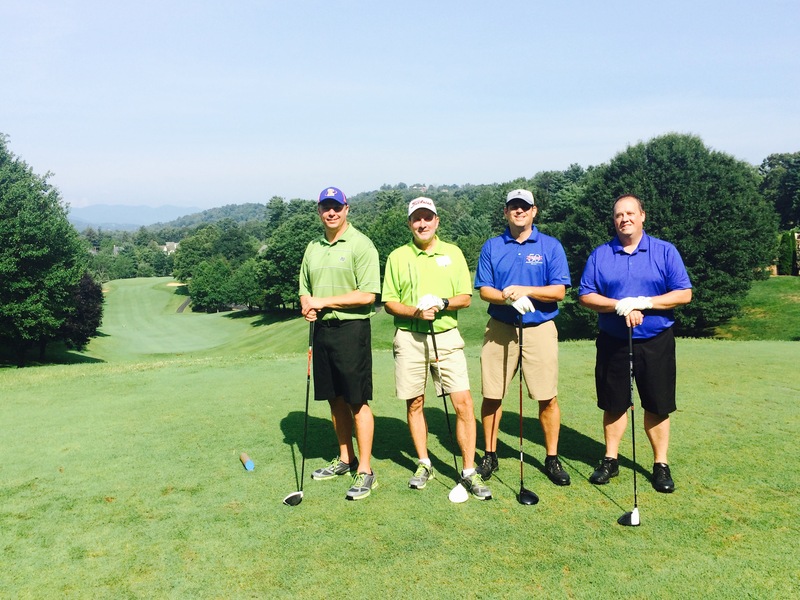 - golf tournament on Sunday, PFI's Board of Directors met to vote on the new leadership for Pellet Fuels Institute. Despite an attempt by a local environmental group to disrupt the meeting, the PFI membership elected a new board headed by Rentech's Chris Amey. (Please see the full story below). On Monday, July 25, outgoing PFI Chairman Stephen Faehner kicked off a full day of panel discussions. Keynote presenter Tom Martin, President of the American Forest Foundation, shared findings from extensive focus group messaging sessions on the general understanding Americans have of forestry - and how foresters talk about what the industry does. Tom announced an initiative spearheaded by AFF to increase collaboration among industry groups. Pat Rita of Orion Advocates and Charlie Niebling of Innovative Resource Natural Solutions discussed the current political landscape - and what to expect from the 2016 elections as well as a few key state legislative initiatives. Dr. Robert Rice from the University of Maine updated conference attendees on the EPA's New Source Performance Standards. American Wood Fibers' Stephen Faehner reviewed the PFI Standards Program, with a current 15 qualified members representing 26 facilities and 2.67 million tons of fuel production capacity. The Global Pellet Outlook panel featured presentations by FutureMetrics' Bill Strauss, Drax Biomass' Brian Moran and Enviva's John-Paul Taylor. The three panelists looked closely at developing market trends, including projected growth in Japan and the potential for growth in the United States. They also discussed the UK market following Brexit, which has generally remained stable. On the Technology and Plant Operations panel, Bathan's Holger Streetz discussed the importance of proper plant maintenance, while Eric Conn of Conn Maciel Carey addressed OSHA regulations. Guy Veilleux of Airex compared white pellets and biocoal production and Derek Nelson gave an overview of the U.S. Department of Energy's Waste to Wisdom program. On Tuesday, July 26, FutureMetrics' John Swaan gave an opening presentation on the reasons pellet plants can fail, and how to avoid them. Finally on the New Market Opportunities Panel, Stan Elliot from Pacific Coast Pellets reviewed the barbecue pellet market and American Wood Fibers' Michael Scanlon discussed the growth of pelletized animal bedding and litter products. AgriCycle's Scott Jacobs addressed additional uses of pellet products, including in fracking, as an absorbent material and in the production of activated carbon and biochar. Many of the slides used in these presentations are available on PFI's website in the members only section. Thank you to all speakers, exhibitors, sponsors and attendees who made the 2016 PFI Annual Conference a success. 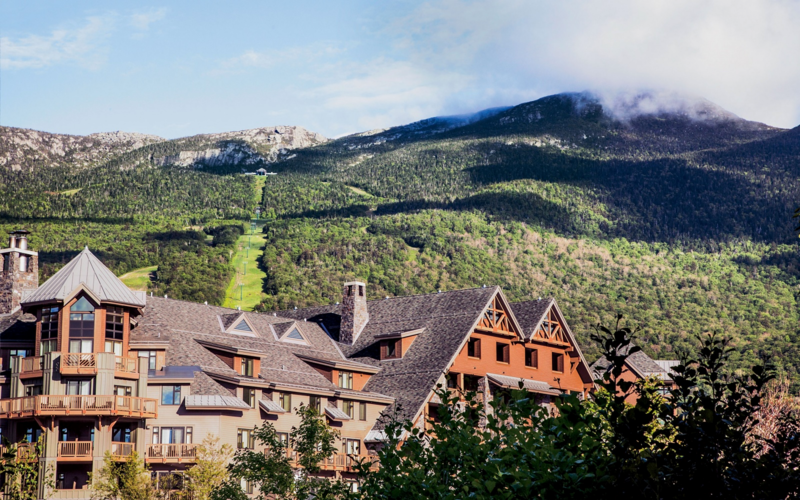 Don't forget to mark your calendars for the 2017 PFI Annual Conference, which will be held at the Stowe Mountain Lodge in Stowe, Vermont, July 35-25, 2017! Are you selling consumer products containing wood in California? If you are selling any products that contain wood (wood pellets, animal beddings, BBQ pellets, chips or chunks), please be aware of labeling requirements being enforced by the California State Government upon legal action pursued by consumers. In recent months several wood product producers have received notices of violation from the Pacific Justice Center. Under California State law, citizens and attorneys are permitted to sue companies that are not providing required consumer warnings on their bags. In most cases, the civil fines and required attorney fees have totaled nearly $50,000 per violation. While you may already have a CA Prop 65 warning mentioning the risks of wood combustion, you must also include a warning about the inhalation of wood dust. Displaying this language on product packaging will help you avoid fines and legal fees. Please visit the California State Government website to review the CA Proposition 65 rules and requirements. If you have questions about this situation in CA, please contact the PFI office at [email protected]. Other new board members include: Jase Lock, Energex; Stephen Devoe, Sr., Fiber Energy; and Cory Schrock, Fiber By-Products. Thank you to all officers and members serving on the PFI Board of Directors. In a recent letter to his British counterpart, Agriculture secretary Tom Vilsack wrote glowingly of biomass - wood, grasses and other organic matter that can be used for fuel. Biomass, Vilsack notes, "increases our forested area, reduces greenhouse gas emissions, and improves U.S. forest management practices." At the same time Obama Administration officials have been singing its praises, green groups such as the Natural Resources Defense Council have been irresponsibly vilifying biomass as environmentally disastrous. The reason for this tension? The NRDC and other environmental activists put politics over science. Their misinformation campaigns aren't just dishonest; they goes against the interests of our climate, our forests and our economy. The biomass under the heaviest attack is wood pellets. Made from wood that has been dried out, ground down, and formed into small cylindrical pieces, these pellets can be fed into a power plant's furnaces to generate electricity. New Hampshire homeowners and businesses interested in installing high-efficiency wood pellet central boilers and furnaces will now be eligible to receive a little extra help. Two recent orders issued by the N.H. Public Utilities Commission increase the incentive level of the commission's residential bulk fuel-fed wood pellet furnace and boiler incentive program to 40 percent of the total heating system and installation costs up to $10,000. The incentive level for the commercial and industrial bulk fuel-fed wood pellet central heating system incentive program will also increase to 40 percent of total heating system and installation costs up to $65,000. The prior incentive levels were 30 percent of system and installation costs up to $6,000 for residential customers and 30 percent of total heating system and installation costs up to $50,000 for commercial and industrial customers. The commission also tightened the standard for emissions of particulate matter for eligible systems for both programs, lowering it from 0.32 pounds per MMBtu to 0.10 pounds per MMBtu. The residential and commercial programs are funded through the Renewable Energy Fund established under state law and promote the use of renewable wood heat through the use of high efficiency wood pellet boilers and furnaces. The residential program has provided incentives to more than 294 homeowners since it began in April 2010, while more than 43 New Hampshire businesses have received incentives from the commercial program since that program began in 2013. A commission of energy regulators, lawmakers and other stakeholders met today to assess the economic and environmental impacts of the state's ailing biomass industry. The panel was created earlier this year by the Legislature, which also authorized a controversial $13.5 million, two-year bailout that will benefit a few of the state's six biomass plants and the wood products industry that relies on them. The bailout deal has come under scrutiny because it relies on taxpayer funds to offset the impact on electricity ratepayers, and because biomass is criticized as inefficient and outdated. Nonetheless, the industry is vital to the wood products industry, including logging jobs. Dana Doran, with the Professional Logging Contractors, urged the commission to consider solutions that will keep the industry afloat.